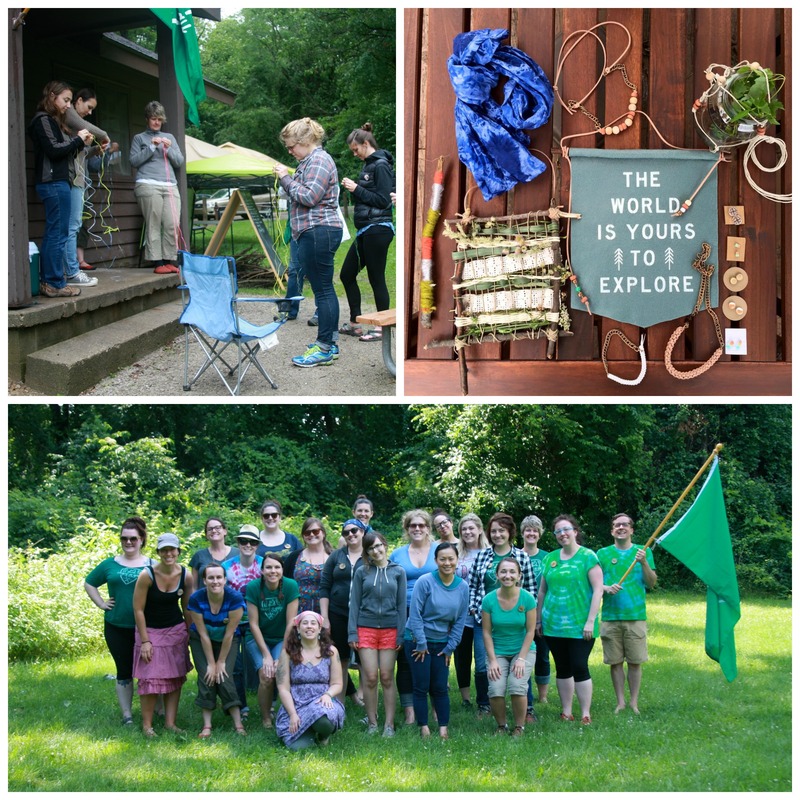 It’s a summer camp for crafty grownups. A beloved annual tradition. And now’s your chance to be a part of it! 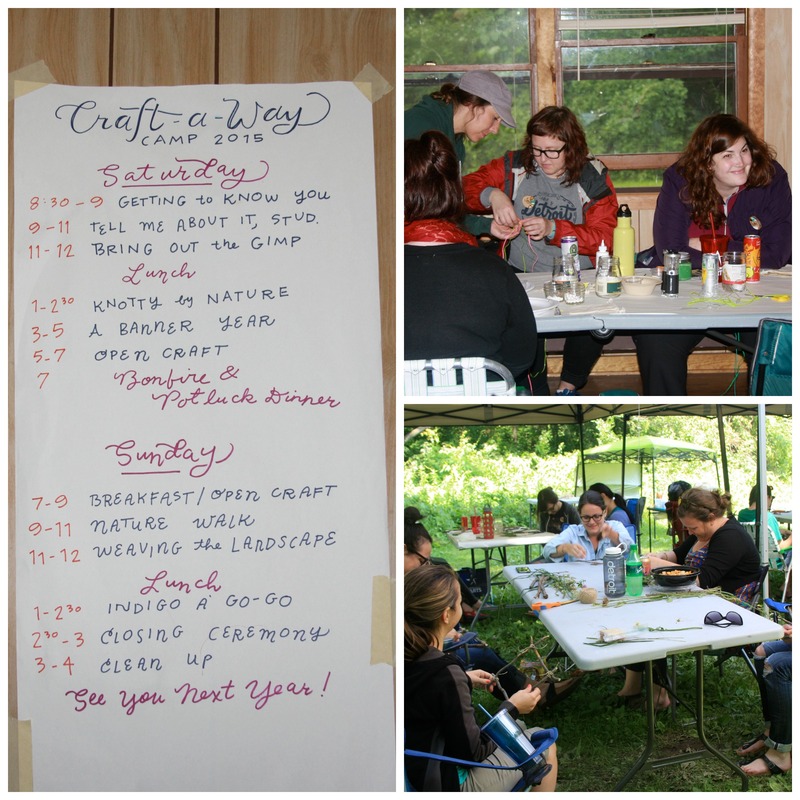 Craft-A-Way Camp will return to the Michigan woods, June 27-28, for a third season of crafting in the great outdoors. Applications can be submitted today, and will be accepted through May 15. We’re looking forward to being reunited with our regular campers, and to seeing some new faces around the fire. So we hope everyone will feel welcome to apply! From screen printed banners to indigo scarves, wooden earrings to knotted plant hangers, we’ve got an exciting lineup of workshops planned. 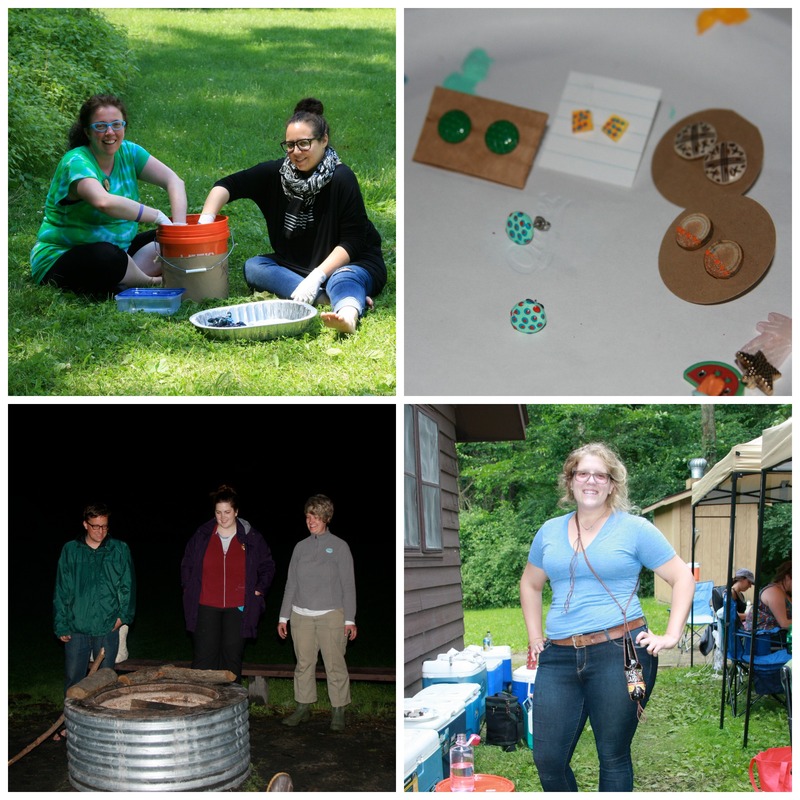 And of course, we’ll enjoy all the traditional activities that make Craft-A-Way Camp so memorable. You can look forward to hiking a leafy trail, sleeping in a rustic cabin, and singing around a crackling fire. But in today’s hectic world, this weekend may be most notable for all the things that don’t happen! You’ll be surprised at how strange and wonderful it feels to turn off your phone, forget about the clock, and reconnect with your creativity. 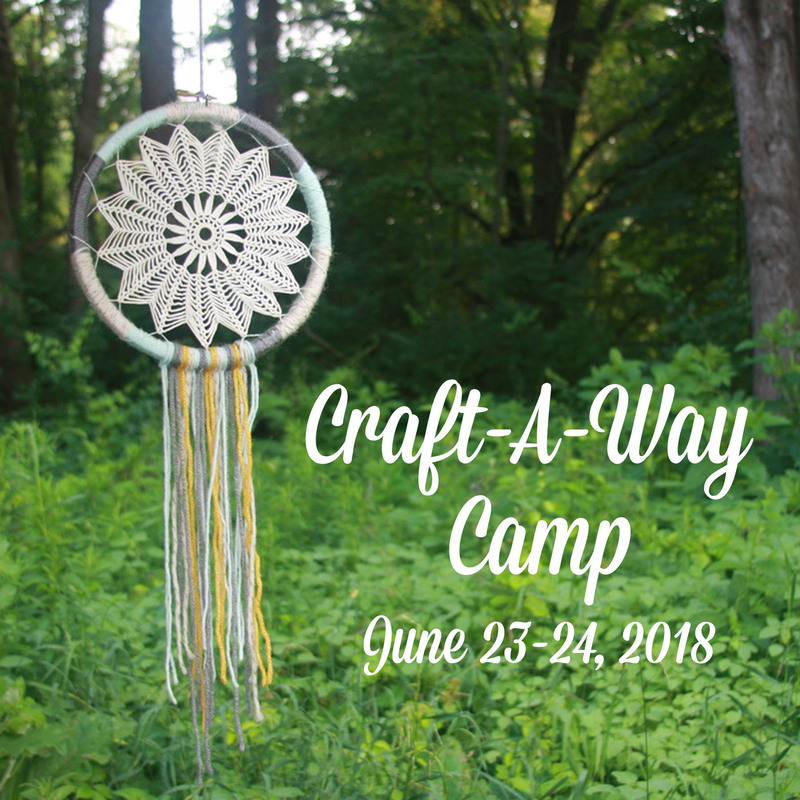 If you haven’t yet joined us for Craft-A-Way Camp, we encourage you to take a look at the photos and testimonials from past years. 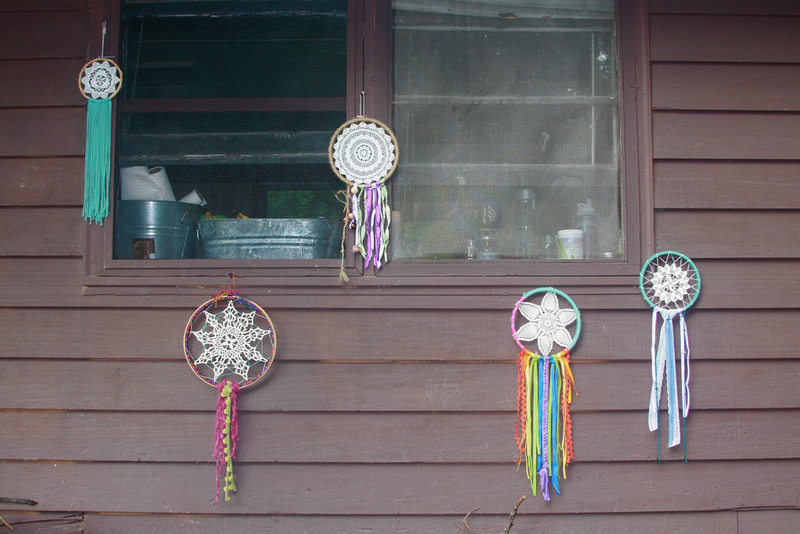 They’ll give you a glimpse of how fun and rewarding a weekend of outdoor crafting can be. 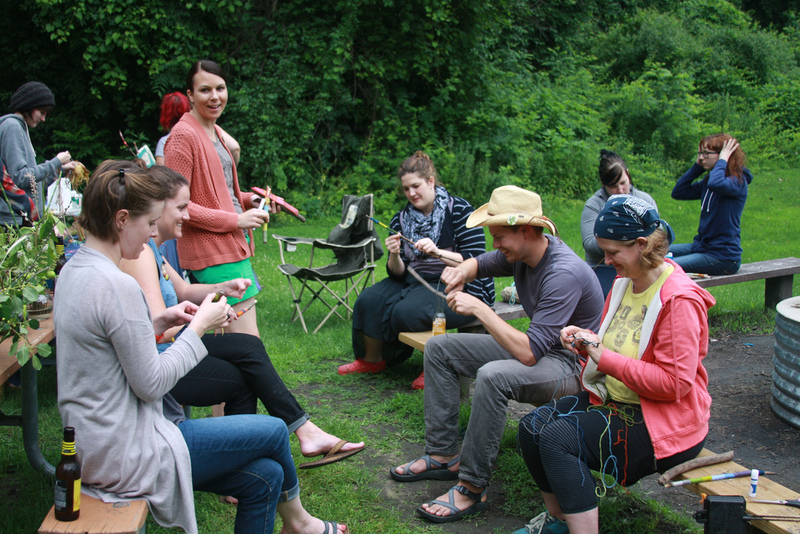 And if you have camped with us before, we know you’re already eager to bask in the warm sunshine, crack open a cold beverage, and start wrapping a stick in yarn! So please send us an application by midnight of May 15. Crafters from the Midwest and beyond will be gathering at our campsite, and you don’t want to miss this opportunity to be among them! Entering its ninth year, the Detroit Urban Craft Fair is well known as the place to find unique holiday gifts. And this year, you can have your gifts wrapped, in a suitably crafty style! On Saturday, December 6, and Sunday, December 7, Michigan’s oldest and longest running indie craft fair will return to the Masonic Temple, with more than 100 vendors. We’ll be there, offering fun gift wrap for all your finds. 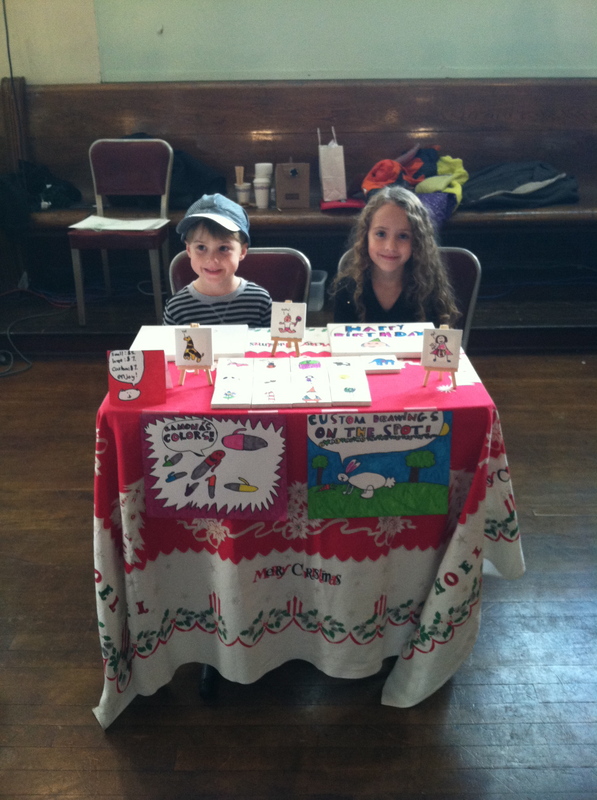 Our table will also have information about the third annual Craft-A-Way Camp. And it will feature a line of painted mini canvases by Ramona’s Colors. So come to the fair, look for the Craft-A-Way table, and bring home gifts with an intriguing handmade touch. 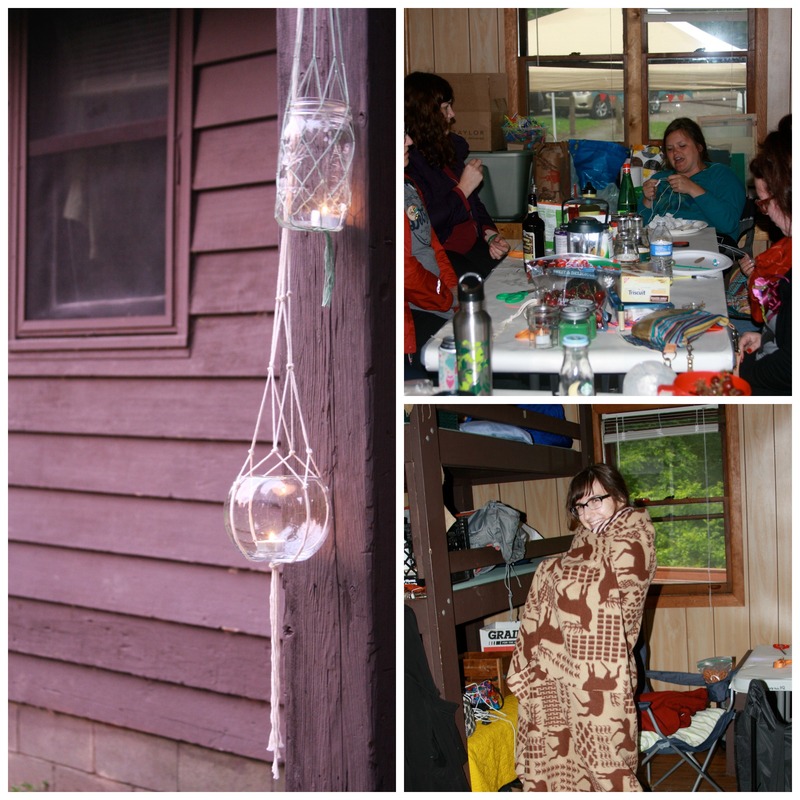 Over the past couple of summers, an aesthetic has emerged at Craft-A-Way Camp, our annual retreat for adults. With pops of bright color against a natural background, it speaks of time spent crafting in the outdoors. At the Detroit Urban Craft Fair, we’ll bring that aesthetic to your gifts, adding colorful handmade toppers to kraft paper packages. For $6, we’ll provide the right package for any craft. In addition to gift bags and wrapping paper, we’ll offer boxes sized for jewelry and soap; shirts and scarves; mugs and dishes. 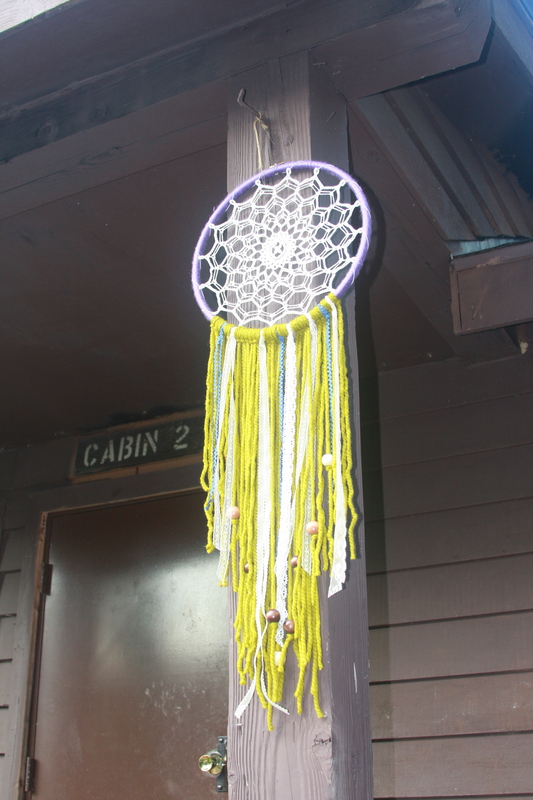 To decorate your gift, choose braided yarn, painted sticks, or wooden discs, all in vivid camp-themed colors. Relax at our table, while we wrap the gifts for you. Or bring the materials home and DIY! 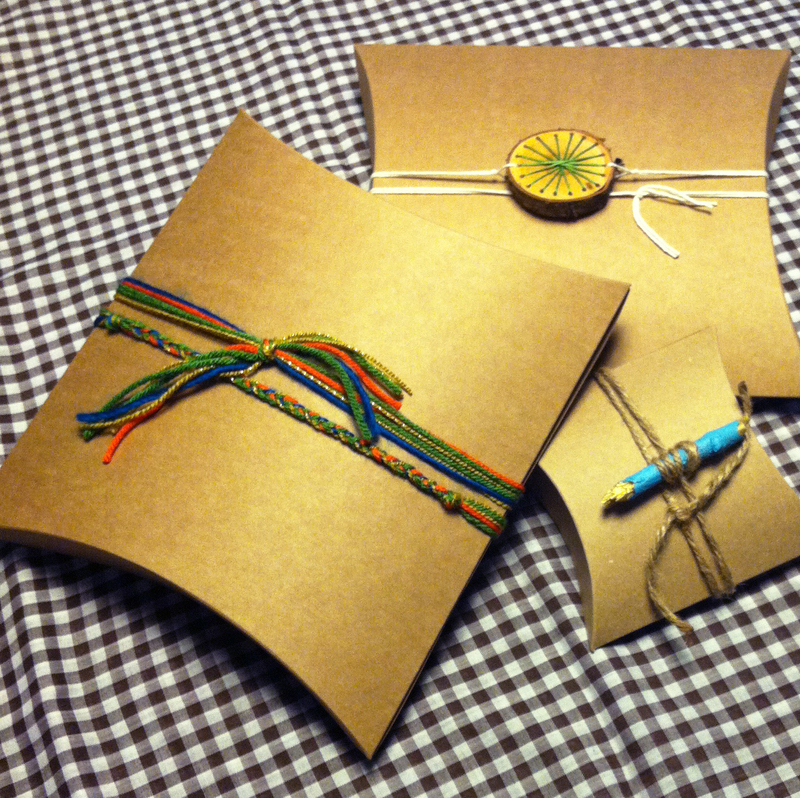 Either way, you’ll have wrap that reflects both the handmade gift inside, and the memorable event where it was found! 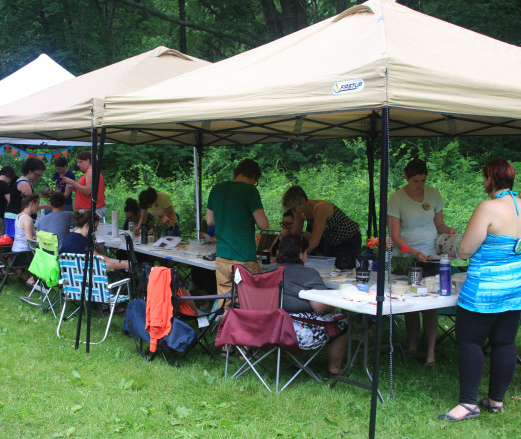 Craft-A-Way Camp has quickly become an annual rite of summer for many local crafters, and it’s always great to see some new faces around the fire! 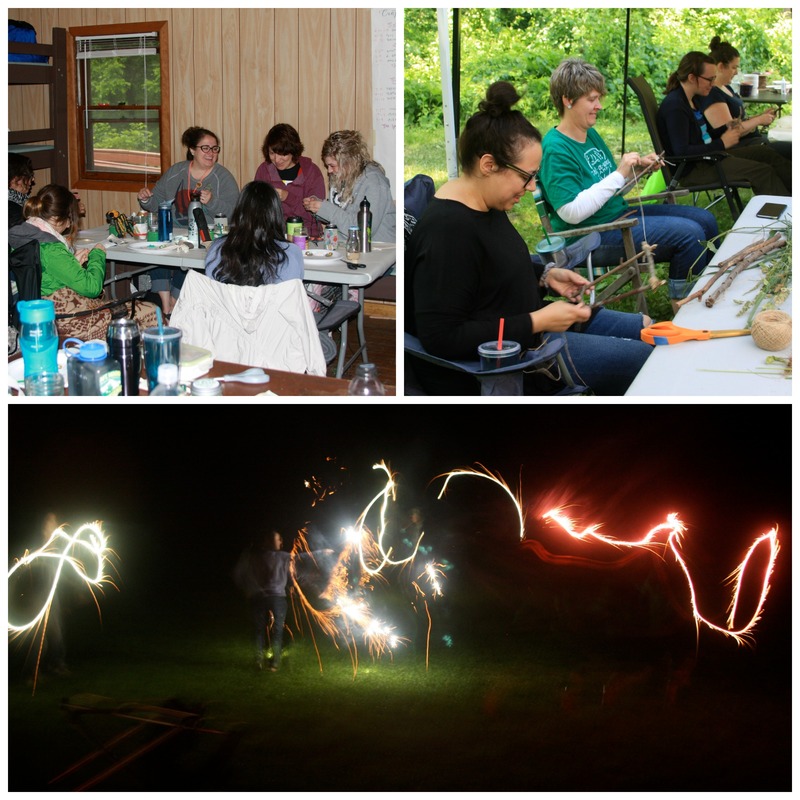 So whether this will be your first visit or your third, we encourage you to join us for a soothing weekend of crafting and socializing in the beautiful Michigan woods. 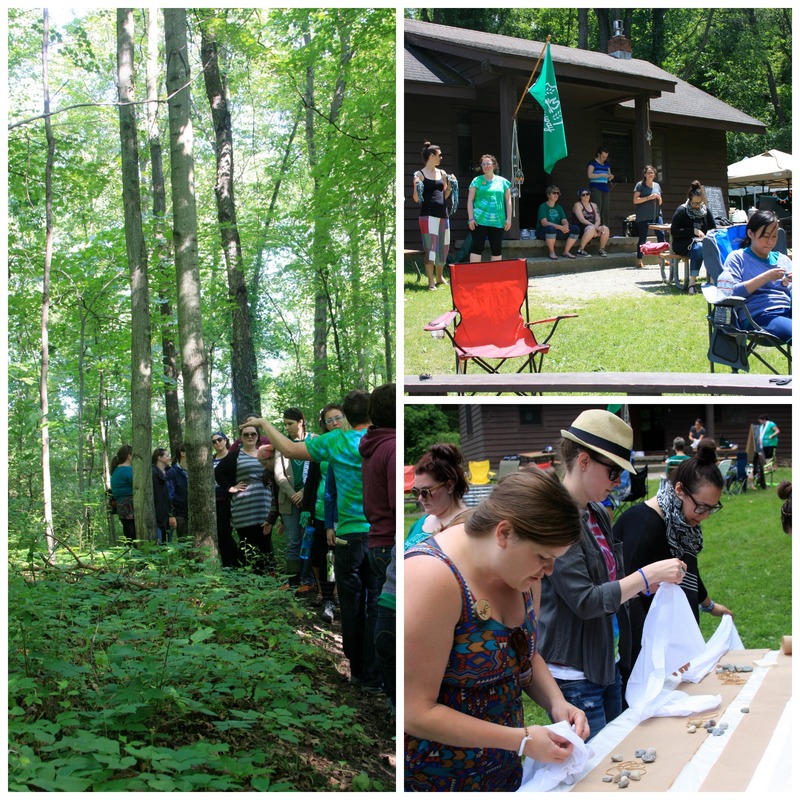 We’ll soon have more details about Craft-A-Way Camp 2015, but we can share that it will take place June 27 – 28. So save the date, and be sure and look back at some memories and photos from past years. Our table will also feature Ramona’s Colors, a line of hand painted mini canvases by Small Craft’s own Ramona Cronkite. At age eight, Ramona is already a veteran of the Detroit Urban Craft Fair, known for her cute creations and irresistible salesmanship. Choose an original illustration of a dancing cat, smiling cloud, friendly alien, or other adorable character. Or wait while Ramona creates a custom canvas on a subject of your choosing! 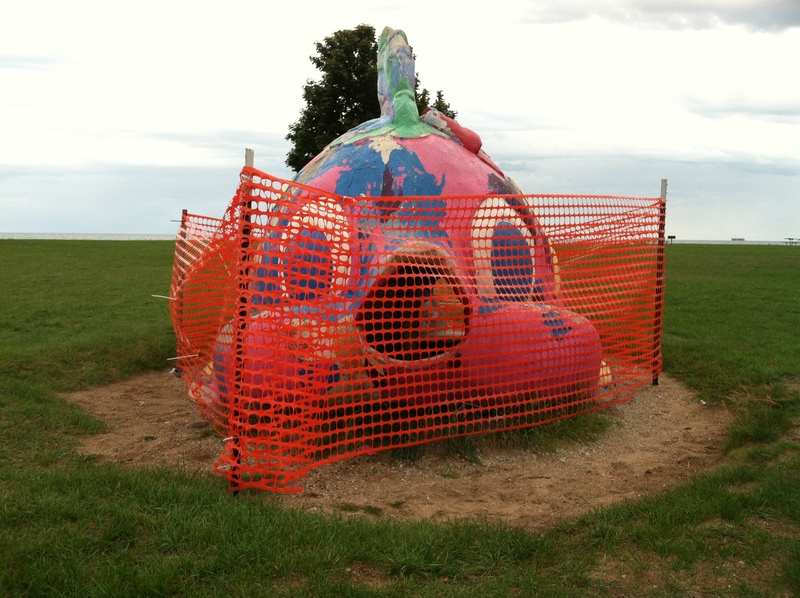 You’ll leave the fair with a one-of-a-kind work of art. She’ll leave with valuable entrepreneurial experience. The Detroit Urban Craft Fair is a special occasion, and not only because it showcases so much beautiful handmade work. The festive atmosphere, supportive community, and intergenerational connections all contribute to a weekend like none other. We hope you’ll find all of these elements at our table this year. And we hope you’ll pause and join us in celebrating one of Detroit’s great holiday traditions. For the past three years, we’ve enjoyed getting together with our friends each month for crafts, coffee, and treats. Guests from all over the world have joined us for these relaxing afternoons. And for a few – including ourselves – they’ve become a cherished tradition. But lately, we’ve been learning that it can sometimes be healthy to let go of that which we cherish. 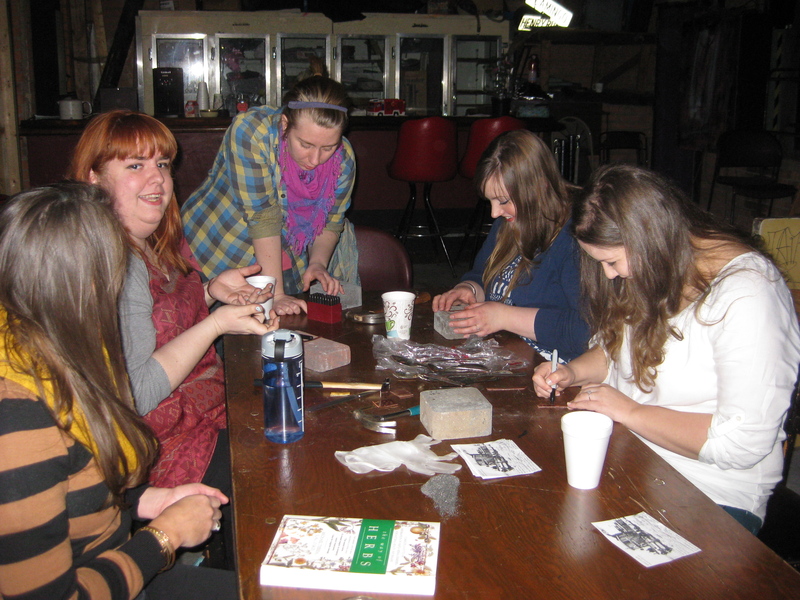 So on Saturday, October 11, we’ll gather at the Trumbullplex to paint wooden animals with Amie Hackworth. We’ll enjoy mellow live music, and a silent craft auction. 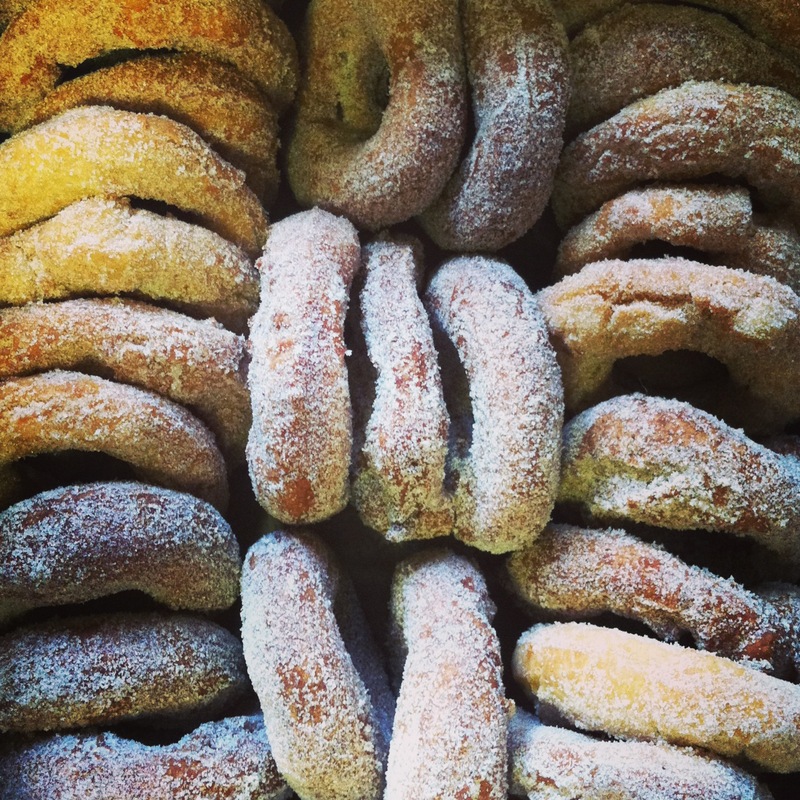 We’ll share free coffee, tea, and homemade, vegan apple cider donuts. And when this class comes to an end, so will our series of monthly get-togethers! While there will be many Small Craft events to come, none will be in this format. So whether you’ve been a familiar face at these gatherings, or you’ve been wondering what they’re like, you won’t want to miss this one! Plush squirrels with twinkling eyes, and pincushions made from vintage ceramics. Yarn-wrapped wreaths with tiny critters, and winsome sparrows on hand-painted tote bags. 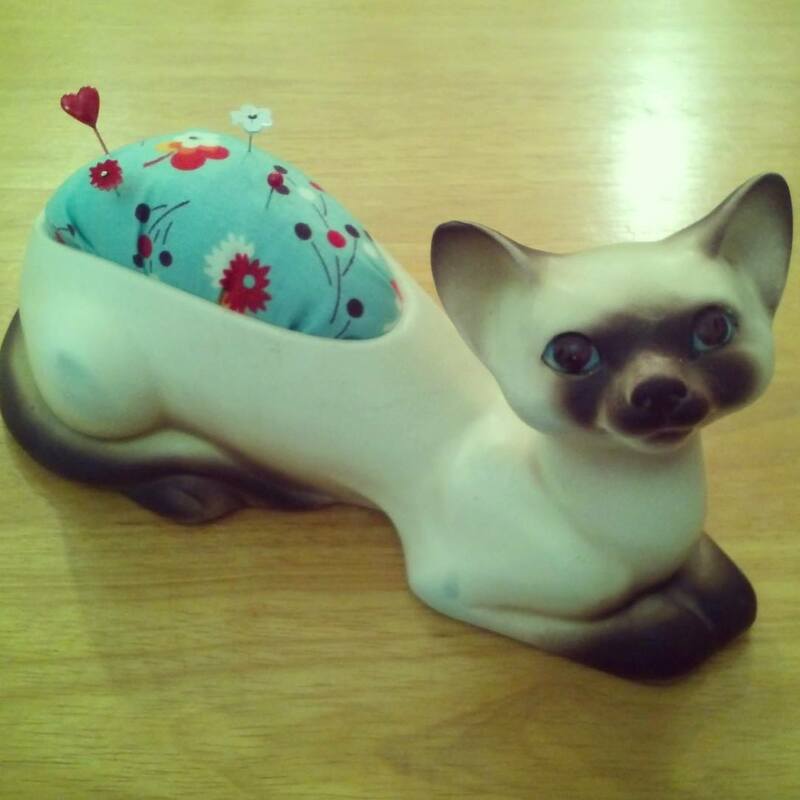 Amie Hackworth makes a wide range of crafts, and all of them are adorable! Her enamor line has been a favorite at area fairs since 2006. 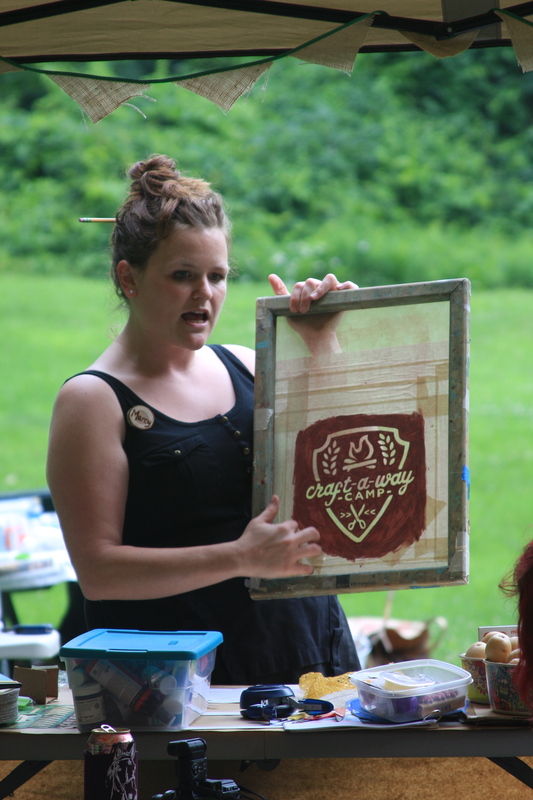 It was in 2013, when Amie joined us at the inaugural Craft-A-Way Camp, that we really got to know the fun and thoughtful woman behind the crafts. We’ve been wanting to collaborate with her ever since, so we’re glad she’s able to join us before this series of Saturday classes comes to an end! Amie’s skilled at a variety of crafts, but she’s particularly adept with paint and brush. Since 2011, she’s used those talents to create cute and modern cake toppers for her enamorweddings line. Under her brush, wooden pegs are transformed into stylized yet accurate portraits of the bride and groom. At our class, she’ll help us turn the pegs into cute woodland animals! 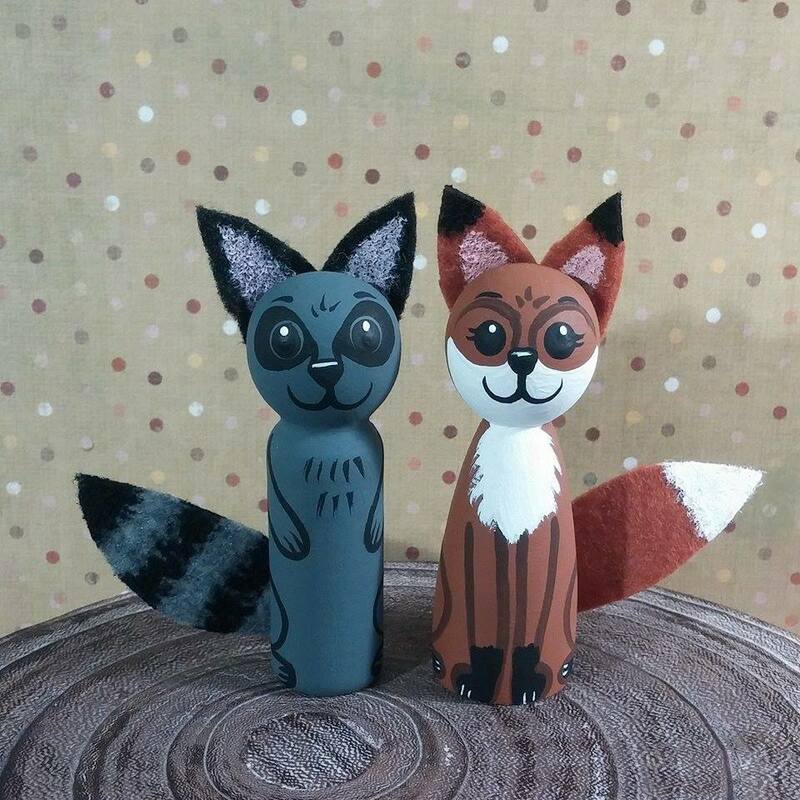 Learn some of Amie’s painting secrets, and take home a sweet little fox and raccoon! In return for a $5 materials fee, you’ll be provided with all the tools and supplies you need to make the lovable characters pictured above. Gwen Frostic led the way in crafting an independent business. And she was strong in her praise of Michigan’s natural beauty. So we honor her as one of our great heroines, and regard her unique and lovely studio as an important historic site. When we heard that the studio’s roof was collapsing, causing water damage to the interior, we knew we had to help. So at this month’s get-together, we’re hosting a silent auction, to raise money for studio repairs. If you’d like to donate a handmade item, please be in touch! We’ll include it in the auction and donate the proceeds to Gwen Frostic Prints. Many exciting items have already been donated, so we’re looking forward to a great fundraiser! Next year, we’ll be hosting fewer events. But each will include a lot more of the hands on workshops, laid back hours, and likeminded crafters our events are known for! At Craft-A-Way Camp, we learned that with additional time, we can really settle into our projects, and join together as a community. So in 2015, we’ll be applying that lesson to our urban get-togethers. Imagine spending a whole day with your crafty friends, exploring several different classes, sharing a tasty lunch, and enjoying some additional surprises! We’re going to have a lot of fun, so be sure and stay tuned for more information. Our monthly get-togethers have never been predictable. Some months, we’ve welcomed a large crowd. Others, just a few close friends. We’ve been joined by a French pop star, and by a child wearing the long, white beard of a gnome. We’ve seen a motorcycle parked in the middle of our workspace, and a craft display built around an old, blue school bus. We wanted to bring this series to a close, before it lost that feeling of limitless possibility. 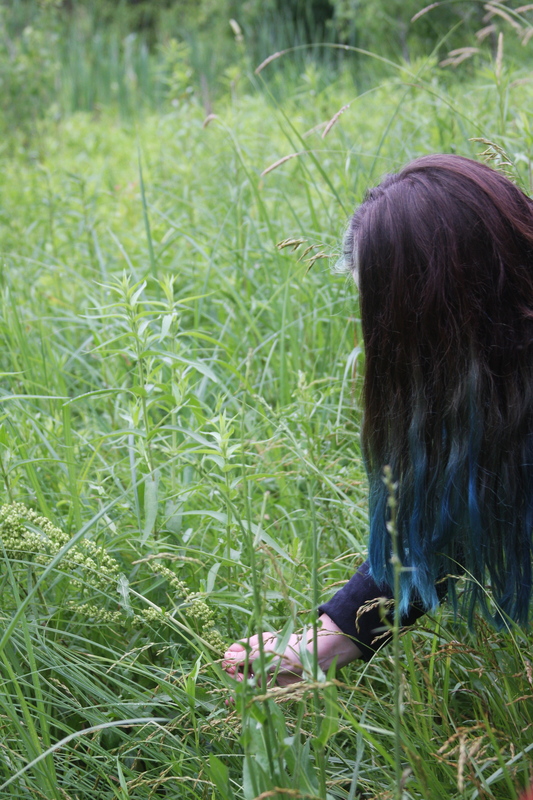 And we wanted to be free to chase that feeling wherever it might lead us. So we’re setting sail for a new era. We hope you’ll join us, as we look back on three wonderful years. And we hope you’ll still be with us, as we find another exciting opportunity to craft together. Like many of you, we were hit pretty hard by the recent flood. And like many of you, we’re seeking solace in that which we value most: the handmade, the homemade, and the company of friends. So on Saturday, September 13, we’ll gather at the Trumbullplex for another comforting afternoon of social craft. 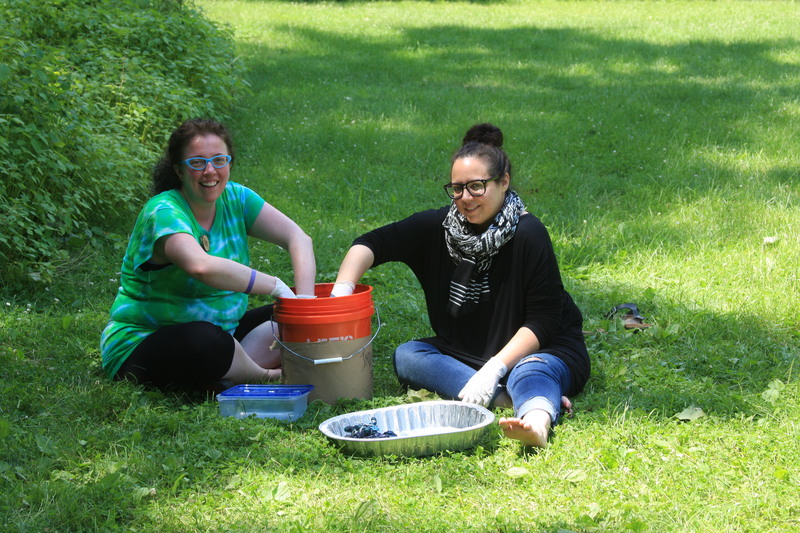 We’ll learn to dye fabric using rust, with local fiber artist Liz Lewis. We’ll enjoy live music by singer-songwriter Quiet Grrrl. And we’ll share free coffee, tea, and homemade vegan cupcakes. For while so much has been lost in the flood, our creative spirit and crafty community are still here to help us through. 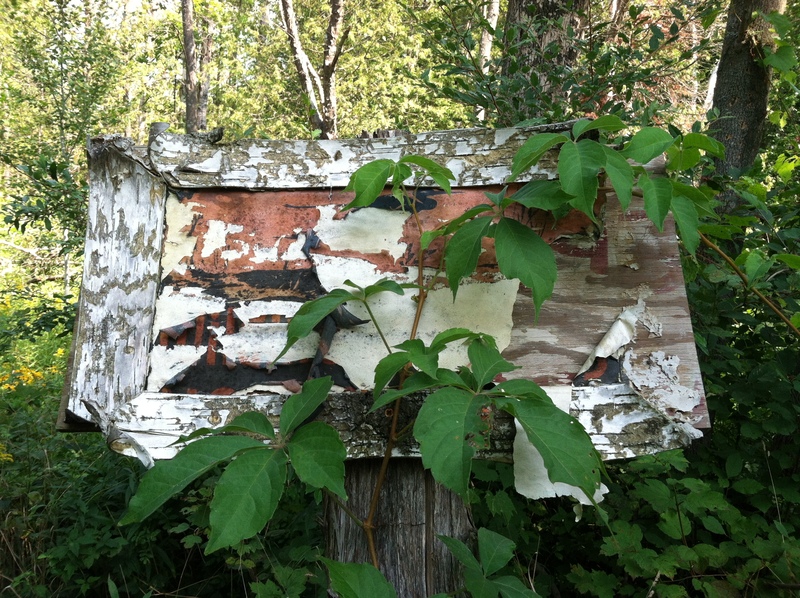 Fittingly, this month’s class will teach us to make beauty from water’s decay. 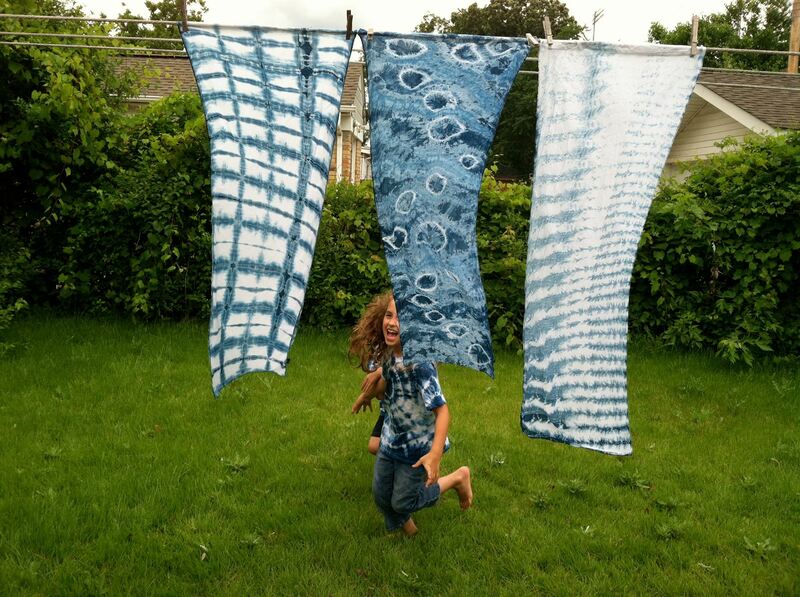 Rust dyeing is a natural way of dyeing fabric, using rusted metal as the dye source. It’s a contact dye, which means that the fabric will be dyed wherever it’s touched by the metal. The more interesting the shape of your rusted metal, the more exciting your rust dyed fabric will turn out! So bring along a cool piece of rusty metal, if you like. We’ll have some on hand, along with fabric and other supplies. There’s no materials fee for this class, and everyone is welcome to participate. 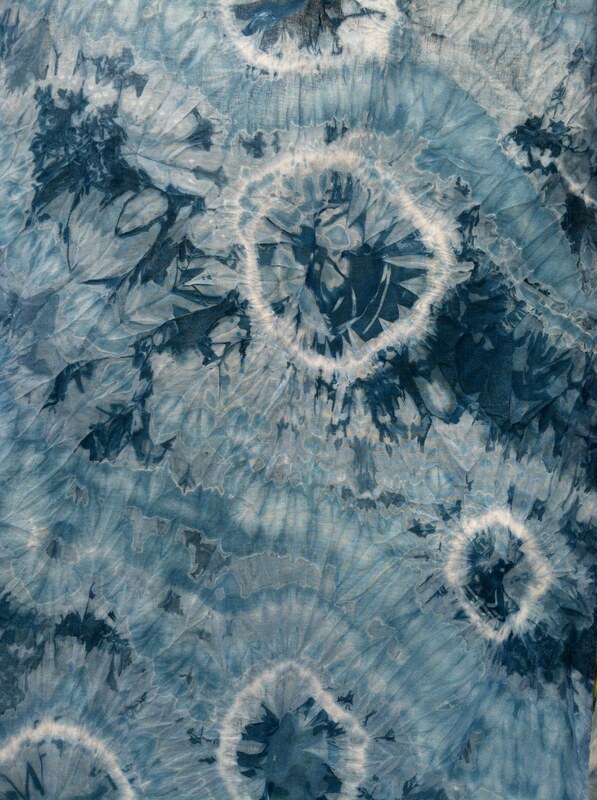 Liz Lewis is a talented fiber artist, and a professional instructor, with a degree in crafts from Detroit’s College for Creative Studies. And she’s a resident of Small Craft’s home port, the Trumbullplex! We’ve been looking forward to working with Liz for some time, but her instruction has been in such demand elsewhere, that it’s been hard to find a date when she could join us! We are thrilled to finally have this opportunity to learn a new craft from an old friend. Kayla Freiss is a Detroit singer-songwriter who performs under the name Quiet Grrrl. As the name suggests, she takes a gentle and introspective approach to feminist punk. If you’ve seen Kayla play, you remember her strong voice, bold lyrics, and lovely melodies. And if you were with us at our last couple of get-togethers, you know what a moving experience it is when one of our circle gets up to share her songs. The damage to our own home has made us especially sympathetic to the problems at the Gwen Frostic studio. The roof of this unique and historic building is collapsing, allowing water into the interior. So at our October 11 get-together, we’ll host a silent craft auction, to help raise money for repairs. Please bring a handmade item to our September get-together, so we can include it in our October auction. 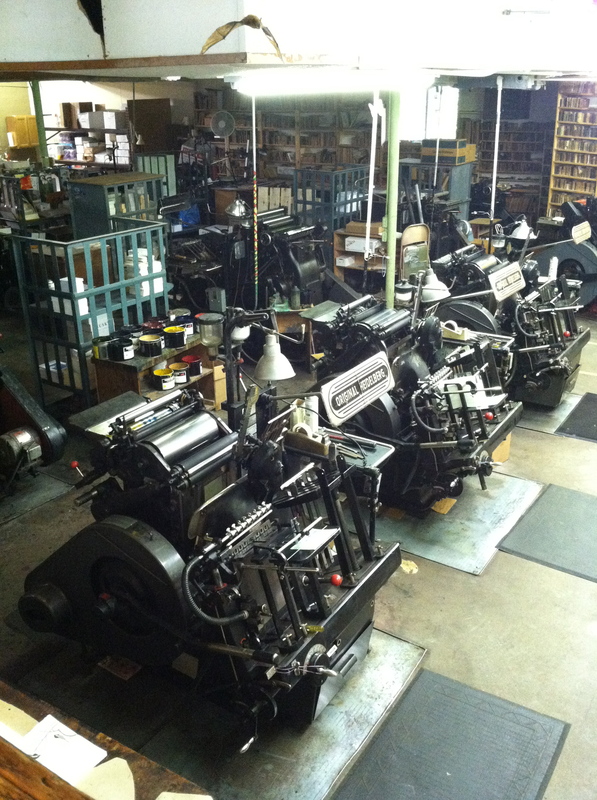 All proceeds will be donated to Gwen Frostic Prints, and used to repair the studio roof. Gwen Frostic was building a crafty business, and celebrating Michigan’s natural beauty, long before any of us. So it’s only right that Small Craft take part in preserving her legacy. 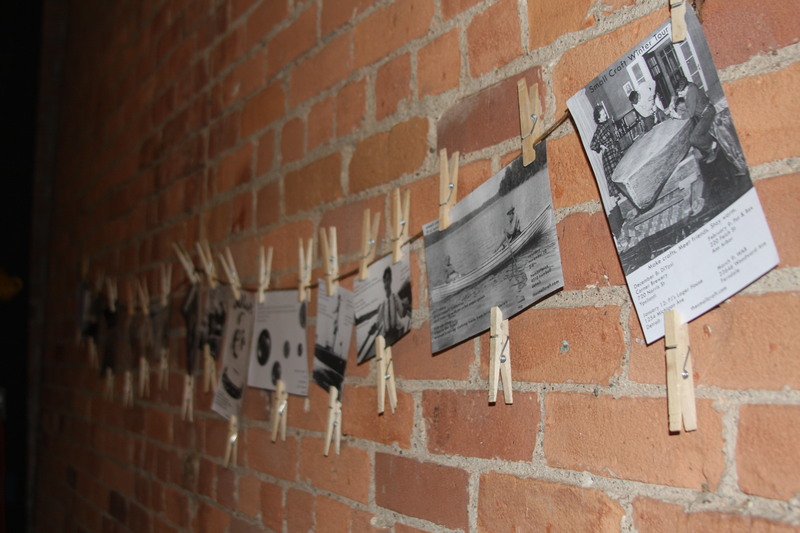 The flood took many items that connected us to our history. Countless crafts, both our own and our ancestors’. A scrapbook of articles documenting Amy’s involvement with Handmade Detroit and the Detroit Urban Craft Fair. Ethan’s handwritten catalog of the Idle Kids Zine Library. But it also gave us a clearer vision of our future. Small Craft isn’t about adding to clutter, seeking out fame, or wallowing in nostalgia. 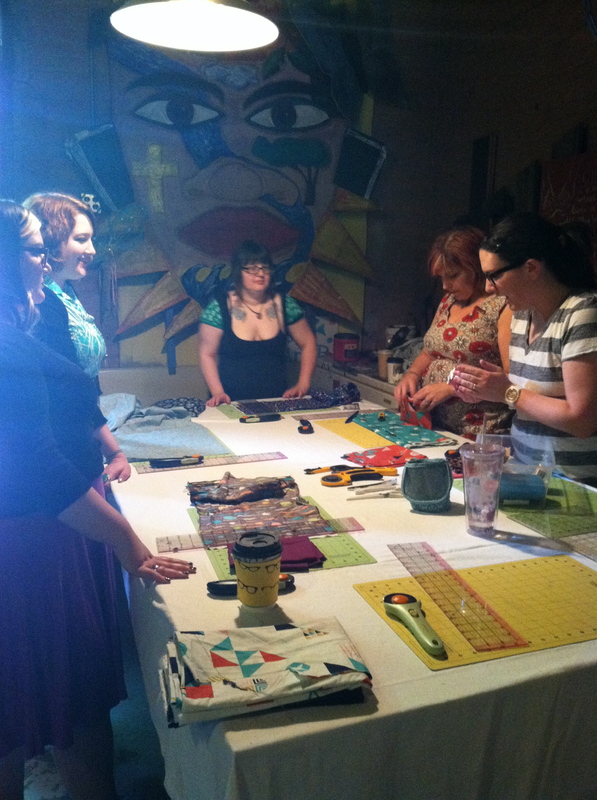 It’s about taking part in a nourishing creative process, and doing so within a supportive craft community. And moving forward, our commitment to those values will shine brighter than ever. At the height of every Small Craft gathering, we all lose sight of the clock, and turn our full attention to the craft at hand. 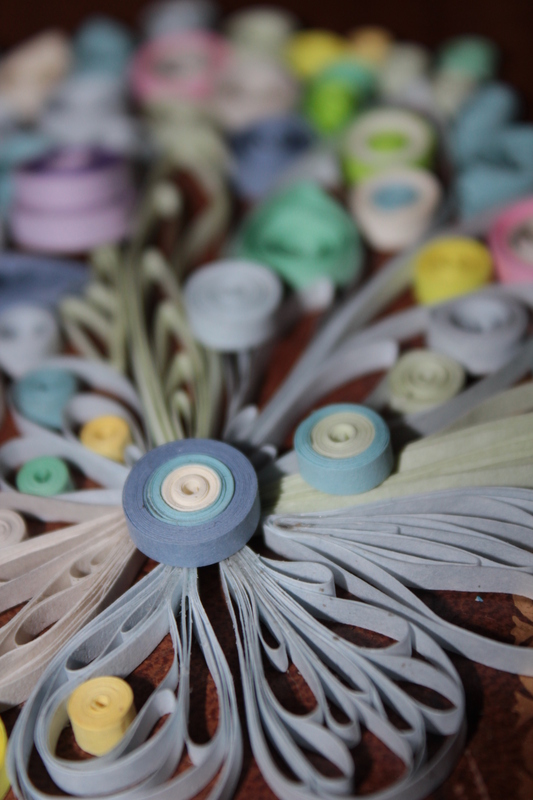 On Saturday, August 9, we’ll lose ourselves in tightly-wound coils of paper, as Megan Deel teaches us the traditional craft of quilling. And as we craft, we’ll enjoy mellow live music, endless hot coffee, and homemade vegan treats. With so many friends around us, and so many good things to share, we’ll forget that summer’s rushing by, and relax into an idle afternoon. 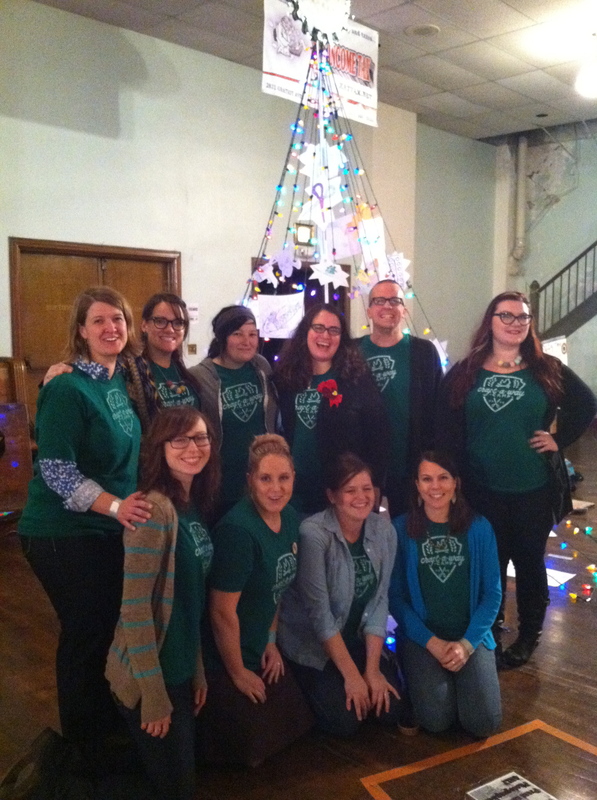 In the spirit of DIY, we met a new friend at one Small Craft event, and invited her to teach at the next! 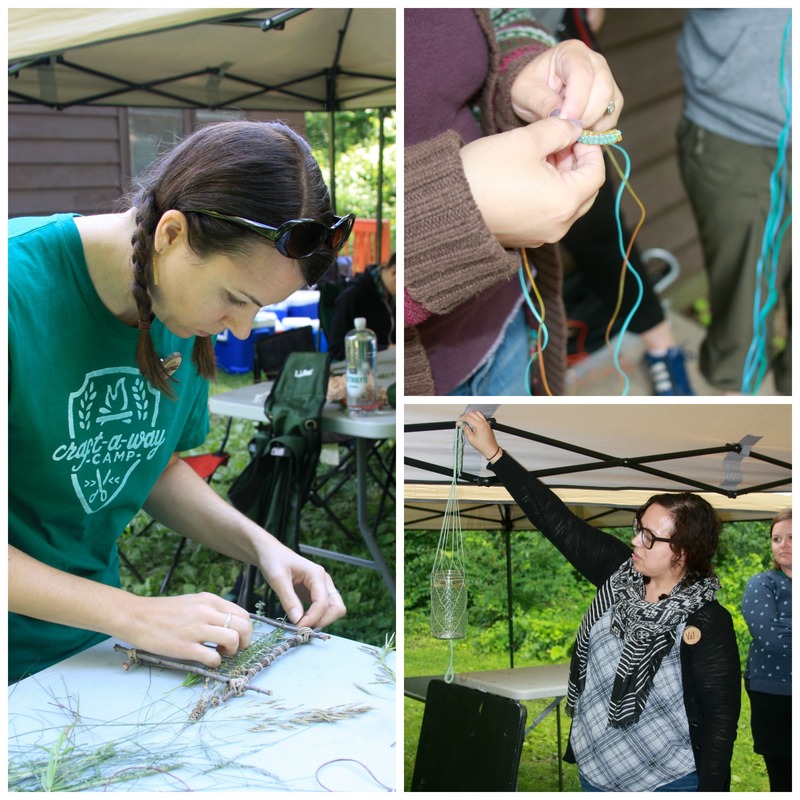 Crafter, photographer, and gardener Megan Deel joined us at our Garden Party last month, and captivated us with her description of quilling, a centuries-old craft in which designs are formed by curling strips of colored paper. This month, we’re delighted to have her teach us how to quill! Megan will provide all the paper, tools, and instruction needed to make two small dragonflies and a flower, and to experiment with further techniques. There’s no charge for this class, but if you want to keep exploring this craft at home, you can purchase a slotted quilling tool at the event for $3.50. As always, you’re also welcome to bring along your own project. Let the conversation, music, and atmosphere inspire you, while you keep working on your favorite craft. At September’s October’s Small Craft get-together, we’ll have a silent auction to raise money for the Gwen Frostic studio. The roof of this beautiful and historic building is collapsing, causing water damage to the interior, and funds are needed for repairs. 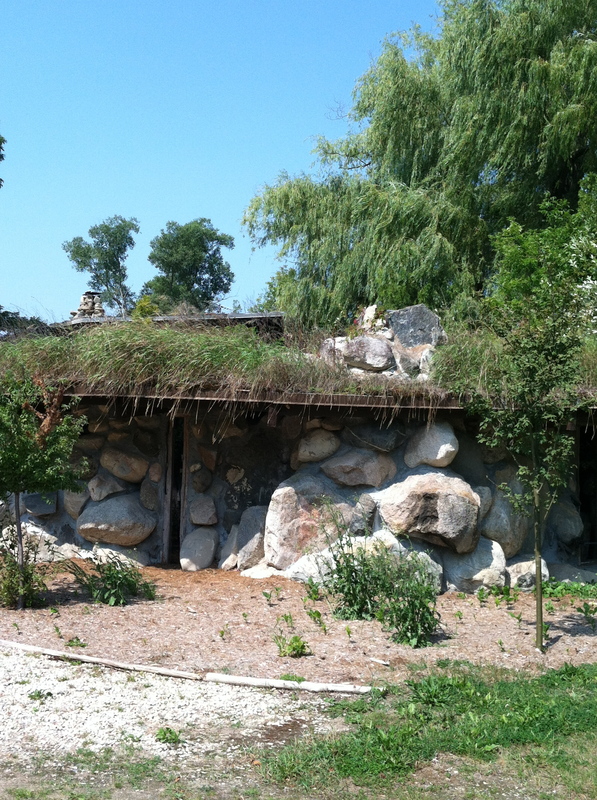 Gwen Frostic was a crafty entrepreneur, and a pioneer in celebrating the natural beauty of Michigan, so we feel it’s only right that the Small Craft community donate to this cause. Please bring a handmade item to our August get-together, and we’ll include it in our silent auction on September 13 October 11. All funds raised will be donated to Gwen Frostic Prints, and used to repair the studio. If summer is a dream, August is that last moment when you’re struggling to ignore the cold light of day. You’ve become aware that the dream is fleeting, and you’re trying to make the most of it. If your summer has not yet included a Saturday afternoon at the Trumbullplex, we hope you’ll take this opportunity to join us. Stop and craft awhile, before you hurry on into the fall.